EXCLUSIVE AT NET-A-PORTER.COM. 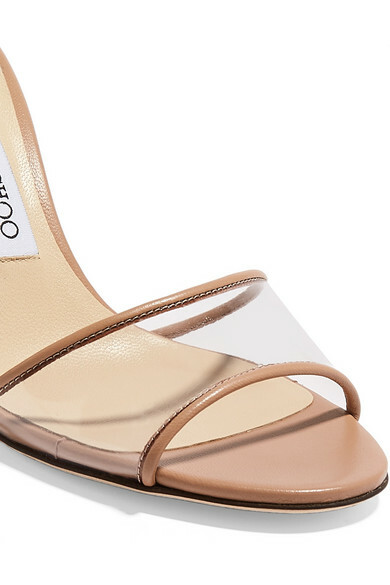 Jimmy Choo's 'Stacey' mules tick three Spring '19 trend boxes at once thanks to the '90s silhouette, PVC strip and neutral beige hue. Made in Italy, they're traced with leather and set on slender heels. Play up to the throwback by wearing yours with a slip dress or cargo pants. 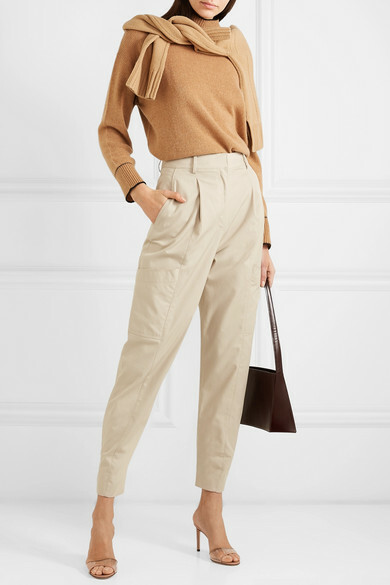 Shown here with: Tibi Pants, Marni Sweater, By Malene Birger Sweater, LOW CLASSIC Shoulder bag, Jennifer Fisher Earrings.